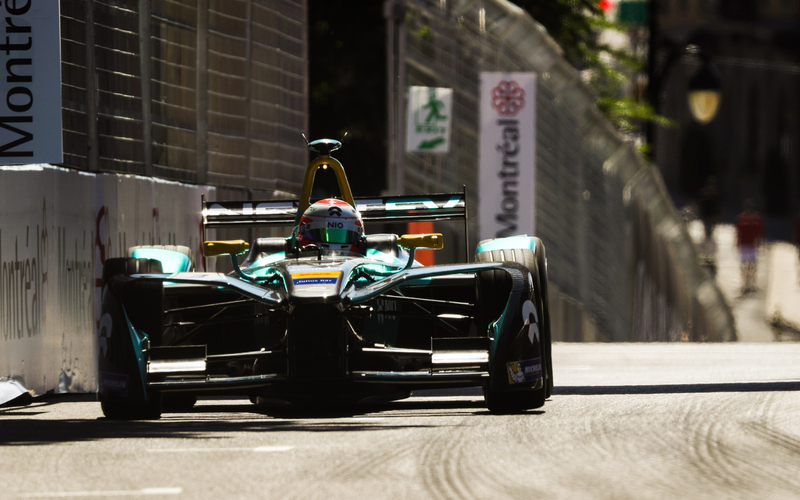 The NextEV NIO squad headed to Montreal hoping to finish the season on a high. A solid performance was not rewarded though, so the team ended the season without scoring any additional points but in an overall P6 in the standings. 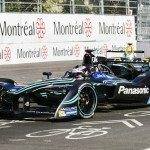 Having gone into the weekend believing they had a good chance of scoring points at the Montreal circuit, NextEV NIO were plagued by difficulties that saw Nelson Piquet JR qualify behind even the DS Virgins, who had been unable to use more than 170kw during their group runs, ending 19th. Oliver Turvey managed a considerably better 9th but neither driver finished in the points and despite a reasonably convincing recovery drive to 14th for Piquet JR, an incident-strewn race and crowded pitstop window left them with little to celebrate other than Turvey’s 16th placing keeping both drivers out of the firing line for pit lane altercations. Another mixed qualifying run left the team with not a huge amount of hope for points, with Piquet JR 8th and Turvey 16th. Although both managed to avoid some of the repeated entanglements of the race, a 16th and 17th place finish put them close to the last of cars still running and well out of the points. A disappointing finish for the last race of a fairly challenging season for the team – but with record-breaking electric performance vehicle manufacturers NIO coming onboard in time for next year’s package, the future still looks fairly turquoise. 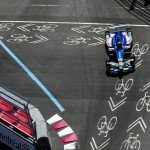 Piquet JR’s teammate, Oliver Turvey, had previously fell victim to the Birthday Curse in Mexico and it seems not to have been cured in the months since. After turning 32 the previous weekend, it was a gruellingly disappointing 19th place start for Piquet JR, behind cars with mechanical problems. Managing a clean race saw him move up to 14th but still end outside the points on the first day here. Unfortunately Saturday’s problems were not solvable overnight, seeing Piquet JR’s qualifying pace improve to a top-ten start in 8th that sadly slipped to 16th during the longer race. Although a disappointing end to the season, Season one champion Piquet JR ends this year with 33 points – more than quadrupling his Season two score of eight, so although it might not quite have felt it, things are looking up. Nelson Piquet JR says: "..."
Oliver Turvey has had a weird year – moments of brilliance usually followed up by howling disappointment, such as starting from pole on his 30th birthday and then a few laps later retiring from the lead, his car quietly ending its race. It is something a lot of teams and drivers have seen in season three, as increased regen made the racing and maintenance more complex and not something he managed to escape in Montreal. Despite outqualifying his teammate by ten places on the Saturday, he slipped back through a fighty pack to end behind Piquet JR when he lost nearly half a minute on the last lap. Despite optimism that Saturday’s experience might have improved setup for the following day, Sunday proved to be another frustrating race. The Montreal circuit is a complex beast and managing both steering and the braking control needed to sustain an extra two laps for the finale race is no mean feat, so an initial improvement is to be celebrated even if the end result was a point-free 17th.